We saw a very large, antlered buck just outside the studio windows last night. He couldn’t have been more than ten feet away, almost standing on the patio’s edge. It’s one of the reasons to live where we do. It was too dark for pictures so you’ll just have to believe me. 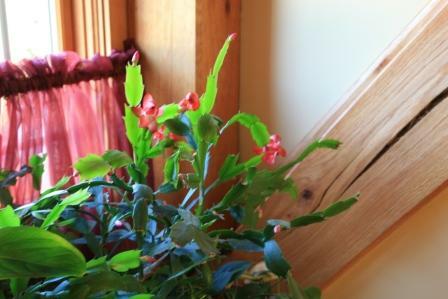 And the Christmas cactus in the bathroom seems to think that the holidays have arrived.